Smiths Medical, founded in 1940, is a leading global provider of medical devices for the home, hopsital, and specialist environments. Smiths Medical products are used during a variety of situations including critical and intensive care, surgery, post-operative care, and home infusion therapies. 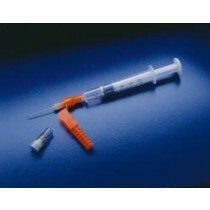 Smiths Medical offers respected and easily recognizable brands, such as Portex and Thermovent. Portex is one of Smiths Medical renowned lines which delivers respiratory therapies. FTSE 100 UK based company. Global leader in medical devices. Products for a variety of settings. Trustworthy. Variety of recognizable brands.